Considering the huge role that caffeine can play in enhancing (workplace) productivity, it is worthwhile to study its effects and mechanism with the hope of maximizing this productivity-enhancing effect. I've done the legwork for you, so sit back and read. The results might surprise you. Mechanism. 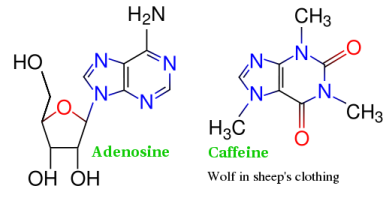 Caffeine has a number of effects on the body, but the one that is relevant here is that it blocks adenosine receptors in the brain (by tricking your brain into thinking it is adenosine.) A decrease in the activity of adenosine (which is a sleep chemical) increases neuron firing rate and increases focus and concentration. Caffeine tolerance builds up rather quickly (2-3 weeks) and further, is near-total. That means that if you drink coffee regularly, pretty soon you start producing more adenosine in respose; thus you need your caffeine dose just to get up to your normal level of brain activity, and you're dopey if you don't take it. Another way to think about it is that the time-average of adenosine level (and hence, attention level) tends to stay more-or-less constant, both short term and long term. Short term strategy. Let us examine the way that most people take caffeine -- when they feel sleepy (I will call this antagonistic consumption.) This changes the attention level from the green line to the blue line (i.e, it smooths out the fluctuations.) This works great for many people (say, someone that has a data entry job), because maximum productivity is limited by external constraints. Other jobs where antagonistic consumption is essential include assembly line worker and truck driver, where mistakes can be disastrous but there is little to be gained from peak concentration. Daily fluctuation in attention level, highly oversimplified. 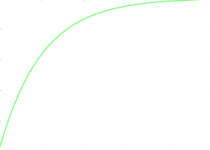 The green line represents no coffee. The blue line is antagonistic consumption. The red line is reinforcing consumption. But other jobs, often characterized by a low level of repetition, have a markedly different attention-productivity curve. Academic research, for instance, involves generating ideas that no one has come up with before. Clearly, an idea that advances the state of the art is unlikely to occur except when attention level peaks. If you spend your entire day doing nothing, but all that doing nothing somehow enables you to reach a point where you understand your research problem well enough that you get insights that no one ever did before, then that's good research. Writers are another example: it is common to sit around for days or weeks waiting for inspiration to hit ("writer's block"). What is common to these tasks is that progress happens in spurts, due to the fact that they involve frequent cognitive bottlenecks. A cognitive bottleneck can only be overcome when attention level exceeds a task dependent, typically very high threshold. Clearly, then, antagonistic caffeine consumption results in worse-than-normal productivity, because it flattens the attention level curve and decreases the fraction of time spent at peak attention level. 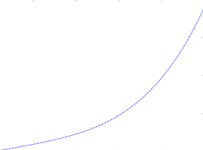 Instead, reinforcing consumption helps maximize productivity (the red line). According to this strategy, the best time to drink coffee is when you are already very alert. Productivity as a function of attention level for naturally rate-limited tasks (green line) and tasks with cognitive bottlenecks (blue line). The former is concave and the latter is convex. A job like driving trucks is one end of the spectrum, where productivity is naturally and insuperably rate-limited. Jobs with frequent cognitive bottlenecks like at the other end. In each of these cases, the optimal pattern of caffeine consumption is clear. Most other jobs fall somewhere in between, and each person must make a reasoned decision about what works best for them. Long term strategy. Over the long term, consistent caffeine consumption is as good as nonconsumption, because of (you guessed it) tolerance. Is there a better strategy? Of course there is. Periodic abstinence lets adenosine levels return to normal. With complete abstinence, it takes 5 days to reach adenosine normality; conservatively, and with imperfect abstinence, a week or 10 days may be required. (Quitting is hard!) For most people, work involves a natural cyclic pattern of crunches and lean periods, and moderated coffee consumption to reflect this pattern will let you enjoy its cognition-enhancing effects more-or-less permanently. 3. There appears to be a generally low awareness of cognition-enhancing substances in general, such as creatine. I plan to expand on this in a later essay. 4. This essay (and everything else I write on this blog, unless otherwise stated), is licensed under CC-by-SA. however one thing - is it scientifically proven that coffee is anti-sleep? rather, is coffee necessarily anti-sleep? and is the form of coffee important? i mean, i notice that cappuccino is much more effective in anti-sleep than filter coffee! Thanks, man. Took me a while to write, but this stuff has helped me so much that I genuinely felt the need to let other people know. Yeah.. you won't believe how many research papers and double-blind studies there are on this! Wikipedia, as usual, has an excellent summary. Form of coffee -- no, the only thing that matters is the number of mg of caffeine, it doesn't matter how you take it. If I took a nap when I was sleepy enough to fall asleep during the day, I wouldn't ever get anything done. I'm always tired enough to take a nap. What is the half-life of caffeine in the body? I thought creatine is marketed as a muscle-repairing (?) thing? I've known a couple body builders who take it regularly. How much caffeine is in diet soda? What about caffeine supplements? How much is optimal, and how often? "If I took a nap when I was sleepy enough to fall asleep during the day, I wouldn't ever get anything done. I'm always tired enough to take a nap." Well, have you ever given it a try? A half hour nap can leave you refreshed for the rest of the day. "What is the half-life of caffeine in the body?" By which you demonstrate that you know that caffeine decays by first-order kinetics :) Anyway, the half life is apparently highly person-dependent. 3-4 hours for the majority of people. "I thought creatine is marketed as a muscle-repairing (?) thing? I've known a couple body builders who take it regularly." And that's why I started taking it too. And therein lies the tragedy -- very clear memory-enhancing effects have been demonstrated, yet no on is aware. Anyway, let me not start on that now, I feel strongly enough about it that I'm definitely going to write about it in the future. "How much caffeine is in diet soda?" "What about caffeine supplements? How much is optimal, and how often?" Miss! You ask too many questions. Quiet for the rest of the period! I'd be interested to hear about creatine. Actually, do you know how excercise interfaces here and how does it affect brain activity and attention level? I'd be extremely interested in that too. Haven't thought about the effect of exercise. I'd expect there's some beneficial effect, but I need to take a better look. A very well written essay my man. Kudos! Have been following your blog, quietly though, for sometime now. The things about all those chemicals ending in an 'ine', bbc-science has good write ups about. Looking forward to your essay on creatine and the effects of exercising on cognition/attention-span/general brain power. Ofcourse in dear old India its another thing if I actually find things like creatine supplements here and if they are, are they affordable on a regular basis. Hmm. Is creatine naturally occurring, like in some food..? Got to find out. Though, I was intrigued by one statement in your essay: that sugar in sodas is probably the bigger worry than its caffeine content. Why? What's damaging about sugar levels/content in sodas? Oh please, don't get me started on that! Sugar is poison. If the government in this country were even remotely concerned with the actual health of its citizens, it would be cracking down on sugar instead of Marijuana. that is quite an interesting writeup !! but for some weird reason, coffee doesn't keep me awake ..
My workouts have become significantly easier since I started drinking coffee half an hour before I start. Makes it much less harder to go to failure on every set. Haven't seen the coffee faq before. Good link, thanks. hey, thanks, i like your writing too. More justification for your blue line? I love your result, but there's one thing you need to provide a bit more evidence for. You suggest that caffeine enhances attention level, but (in the case of the blue line) you suggest that the antagonistic consumption of caffeine tends to lower the attention level in the ordinarily attentive parts of the cycle. However, you don't provide evidence for this. You suggest that your body compensates for the blockage of adenosine over a period of 2-3 weeks, but this profile suggests that this compensation occurs even in the 2-3 *hour* time frame. I'm perfectly willing to believe that this is the case, but you don't actually make this claim directly. Is this in fact the case? Re: More justification for your blue line? Do your calculations for periodic abstinence take into account the lost productivity due to withdrawal symptoms, which can be quite severe (headaches, nausea, etc.)? I often have the reverse effect - I drink coffee, get a little burst of energy and a few mins later fall off the curve and become sleepy. I don't think my body can metabolize caffeine that quickly. Is it possible that the body compensates for regular less sleep than needed and excess coffee consumption by generating more adenosine and so quickly? I'm with you on that. I often find myself waking a couple hours early in the morning, then just giving up on sleep. I go have a cup of coffee and before you know it, I'm back in bed, making up those two lost hours of sleep. I drink about 10 cups of coffee per day (espresso). Even if I drink one shortly before I go to bed, it has no impact,...I fall asleep within minutes...On holidays, I usually drink NO coffee at all and I dont miss it. When I am back at work I just have the DESIRE to drink coffee. My scenario made sense if I think about the (needed) level of concentration which is not necessary on holidays, but then, why do I have the same DESIRE for coffee at home on weekends? Does sugar plus vitamin supplementation still cause empty calory "leaching?" I think your article on Caffeine is great. That's why I am confused by your stance on sugar. Your the first person I've found who really seems to understand caffeine (I did my grad work in psychology in the neuroscience department at Baylor U. where I learned a lot about caffeine). Everything I learn about table sugar from scientific sources seems to point to it as a relatively low GI food (65 on average) relative to things like potatos and white bread. Since every form of food eventually gets turned into sugar, I don't see what the problem is as long as you make up for the deficiency of vitamins and minerals with suplements and other green/colorful foods. I've always thought that all the anti-sugar stuff was a bunch of moms with nothing better to do or nutritional experts trying to scare people into buying their consultation services. But since I respect your scientific scrutiny on the issue of caffeine, I'd like to ask you a question. Why would a high table sugar diet be worse than a high white-potato diet if you took a supplement that made up for the missing potassium and fiber that is found in potatoes? Since potatos have a high Glycemic index and that has been associated with diabetes and heart disease, I'm thinking a Snicker's bar or peanut M&M's (both extremely low GI) are one of the healthiest foods for a person to eat if you add some fiber and vitamins/minerals from other sources. Re: Does sugar plus vitamin supplementation still cause empty calory "leaching?" hey, thanks for your comment, i will answer this in a day or two. Great post, apologies for commenting 5 years later, but I had a question to which I can't find the answer anywhere. When cycling caffeine (i.e. abstaining for a few weeks every so often) - does this completely reset your body's tolerance? Or will you always gradually become tolerant to caffeine over time? Good question. I haven't tried it, so I don't know. I suspect it's somewhere in between. Edit: I may have mistaken your question earlier. What I do is indeed 'cycling', except that even when I do take caffeine, my quantity of consumption, and the consequent tolerance, is very low. So my experience has been that I pretty much experience a reset after a few days of abstinence, but that's a subjective feeling, of course. If a heavy coffee drinker tried cycling, I don't know what would happen. The images are broken now.